We have worked on a number of Oculus Rift projects, with Sliced Bread Animation’s main role being the creation of 3D models, animation and lighting using Maya and Unity. 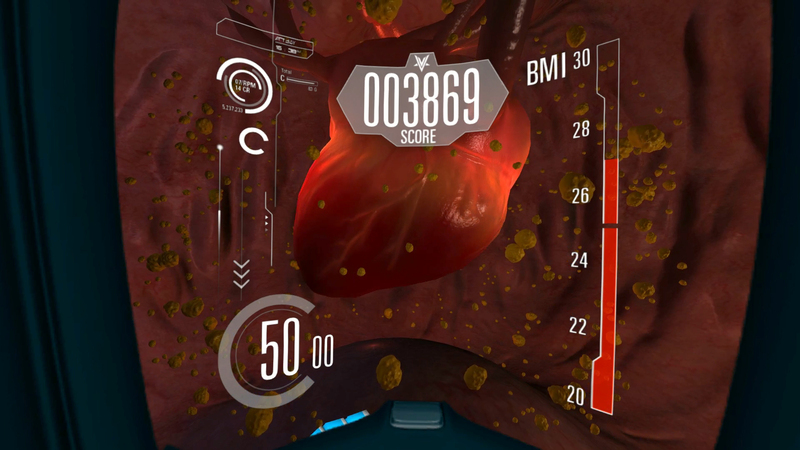 One of those projects, Diabetes Voyager, allowed the user to travel inside the body of a diabetic patient, where they visited the heart, brain and vascular system, and faced key challenges related to diabetes management. 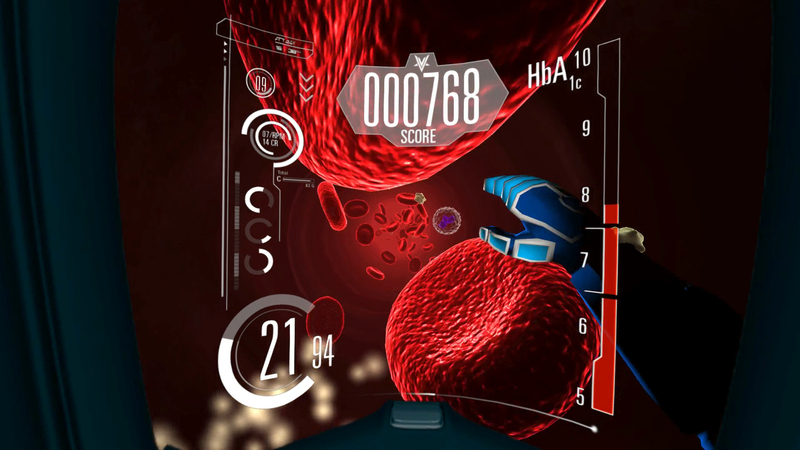 Diabetes Voyager – VR from Sliced Bread Animation on Vimeo. Oculus Rift provides great potential for new approaches to learning and understanding, in the corporate event space. 300 delegates streamed onto the stand to experience the Voyager during the three-day conference, totalling 35 hours of captivating virtual reality existence and a lot of excited queuing. Given the nature of production, planning all the asset requirements is key. Unlike linear animation, where everything is built to camera, here you build for the environment. That means many more assets and detail and you’ll need to balance that with performance constraints (polygon count etc.). You won’t want to compromise the experience either, VR projects are not particularly cheap to produce and against the investment, you’ll want to be sure the end-user walks away with lasting memory of their experience. When they first put on the headset, the first thing they do is look ALL around. And that’s where you need the *WOW* moment! Whenever you start a VR project there is this inherent excitement that everything is possible, and you are going to do something breathtaking and awesome. Then you set about creating your experience, 2 of our projects involved going inside the human body, in one example we wanted to demonstrate synapse pulses of the brain coupled with a ride. We started by planning a procedural type of rollercoaster ride, but when we tested that with others they reported the feeling of sickness. I think the learning from this is that sometimes the ‘vista’ is enough of an experience and that you should try to avoid putting everything in the mix, especially if there are essential take aways, like education and learning. One of the thankful things about VR against standard film animation is that you don’t have to sweat over render times. At the other end through, a pipeline is essential, there is the model build and testing, then texturing and performance considerations. That often means flicking through various different pieces of software and equipment. One of the learnings we found was what you may view in Maya (or any other 3D software package) was not what was viewed in the Oculus. Given that we were attempting to create medically accurate visuals this was often challenging. And at all costs avoid images with transparencies (pngs). When we did our first VR project, Unity was not as advanced as it is now, and we came across a few issues. That meant we had to reconsider standard approaches we would normally have done. That was particularly relevant with animation, for example, deformers in Maya don’t work, and we had to use a frame-by-frame export method, a bit like using replacement heads in stop-frame animation. Unity is constantly updating and it’s definitely worth keeping an eye on new releases and features in case they can enhance the process and experience. Goes without saying really, but testing, testing and testing is integral to any VR production. In all our projects there was constant flow of testing and adjustments. Its important to allow enough time in the schedule to work this through. It is still new technologies and therefore it doesnt come without faults.